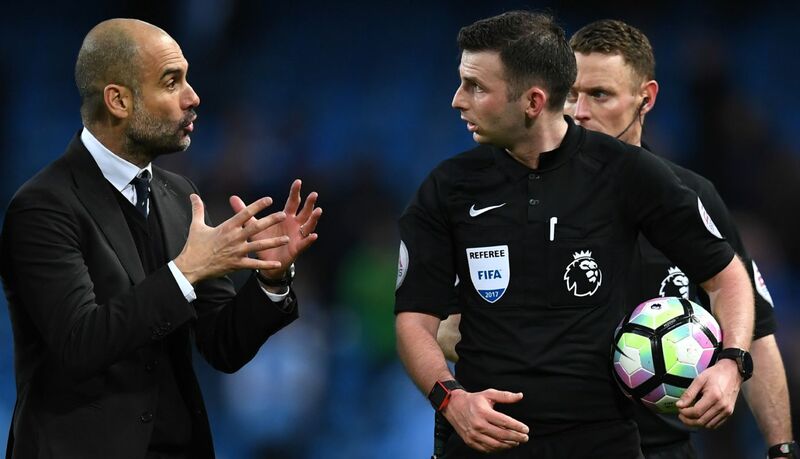 Michael Oliver will take charge of Manchester City’s opening game of the 2017-18 Premier League season against Brighton & Hove Albion on Saturday. The Blues travel to the south coast to face their newly-promoted opponents and 32-year-old Oliver has been tasked to oversee it, with Stuart Attwell the fourth official. Oliver previously took charge of a City game late last season when Pep Guardiola’s men thrashed Crystal Palace 5-0 at the Etihad on 6 May. 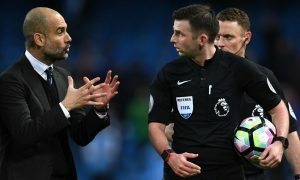 Before that, he was also the man with the whistle when City played out a 1-1 draw against Liverpool on 19 March.